Last weekend we received sad news of the passing of Matthew Underwood, a much-beloved member of Providence’s creative community. Matt was involved with AS220 for many years, and was one of those special people who participated to the fullest. He was a multimedia artist who performed on our stages – all of them: the Main Stage, Psychic Readings, and Black Box Theatre. 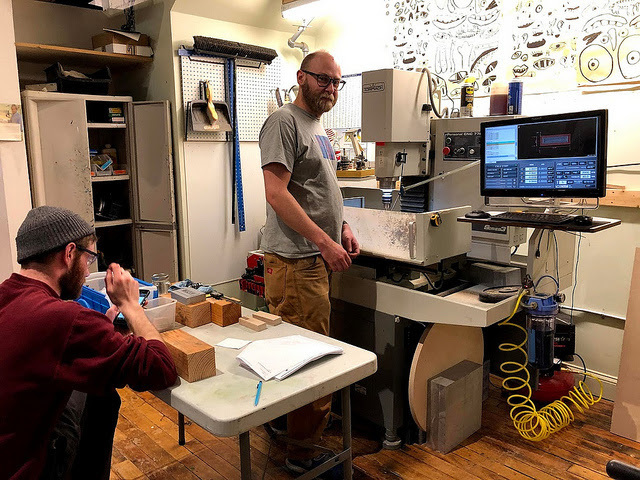 He was a gifted educator who worked daily in the shops at AS220 Industries – all of them: Printshop, Media Arts, and Fab Lab. He exhibited in our galleries. He donated his time and art to events like Foo Fest, the Print Lottery, and Queer Arts Fest. He furthered his learning at Fab Academy, and he spent much of his free time building skills and welcoming others into the AS220 community. 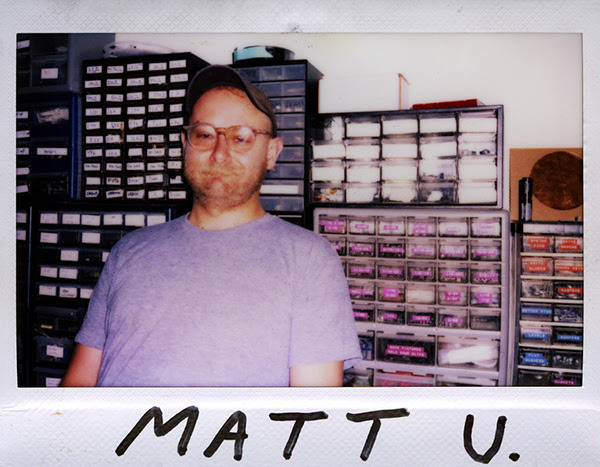 It’s hard to overstate just how much of an impact Matt made on our community. We are heartbroken that he is gone, but his spirit and energy will live in these spaces that he gave so much to and in the many people whose lives he touched. He truly embodied the spirit of service and community at the heart of AS220. He will not be forgotten. Reception to follow at a nearby arts community space on Sutton Street. The services will deal honestly (not graphically) with the circumstances of Matt’s depression and passing, and the complexity of our emotions in this moment. We suggest that this is not suitable for children. We will include resources for mental health support in the program materials. Our focus will be on mutual healing and love for Matt and those close to him. Some of Matt’s beautiful artwork will be with us.